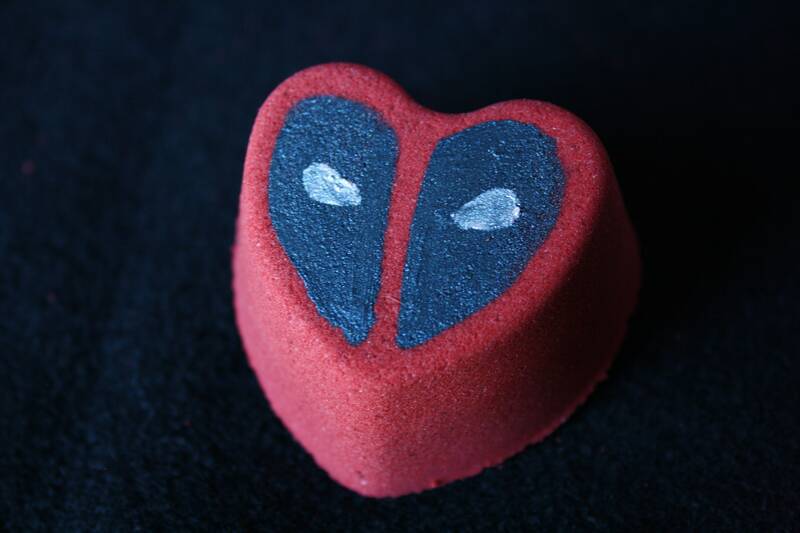 Get ready to take a bath with your friendly neighborhood mercenary! 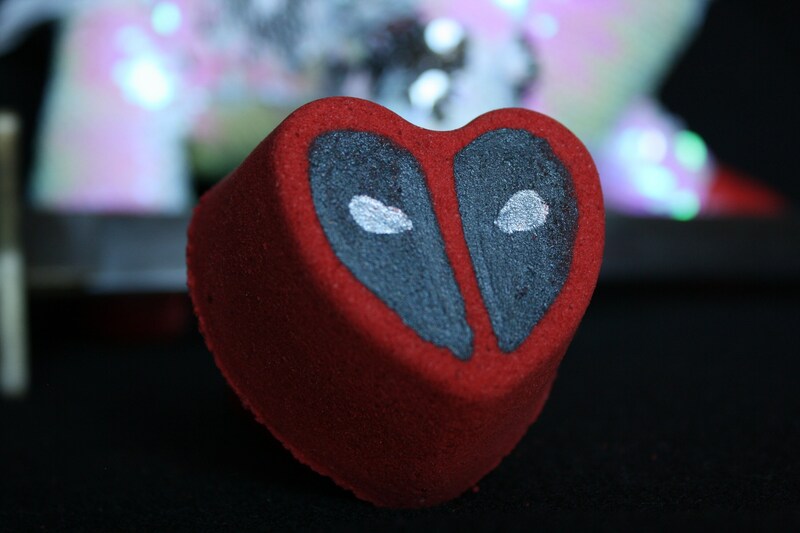 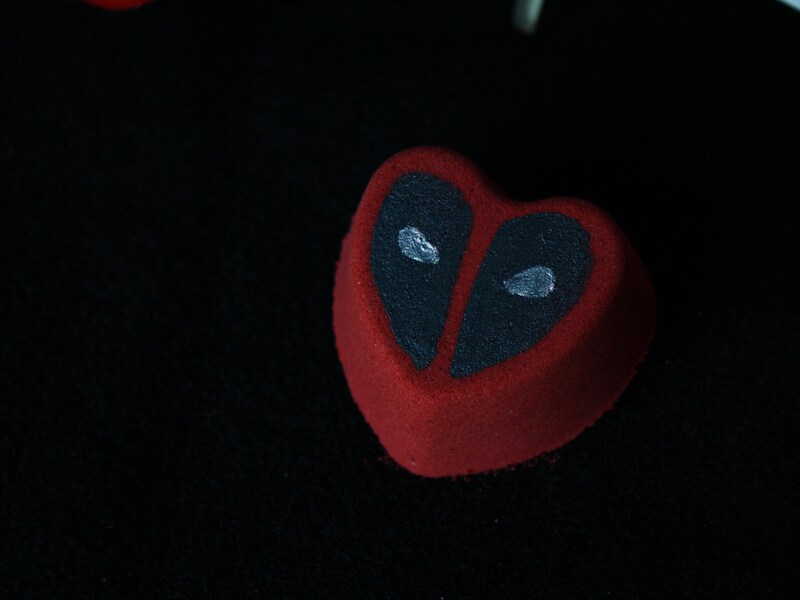 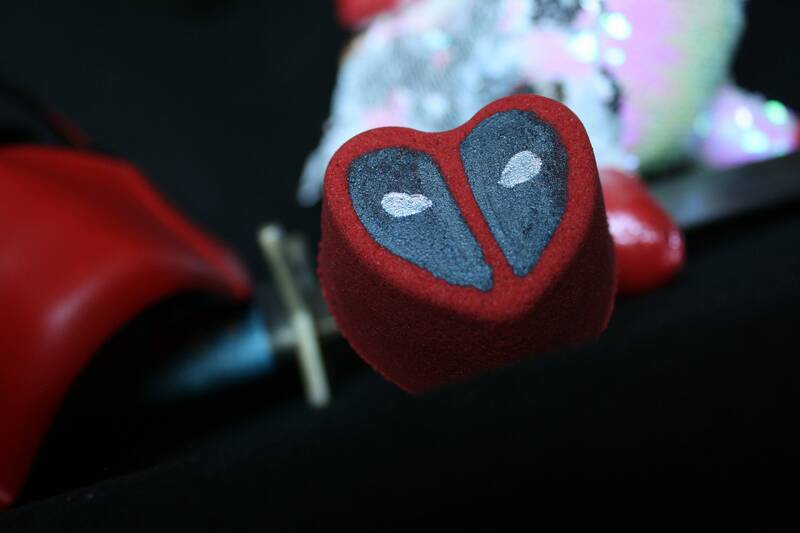 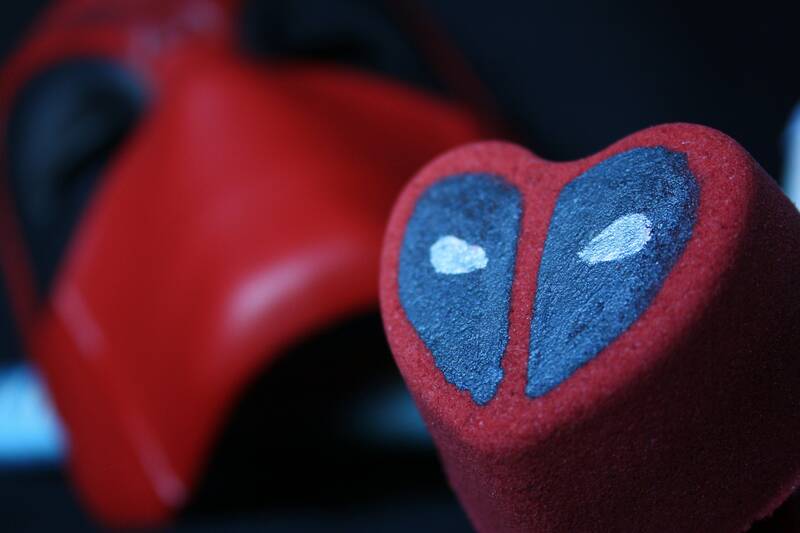 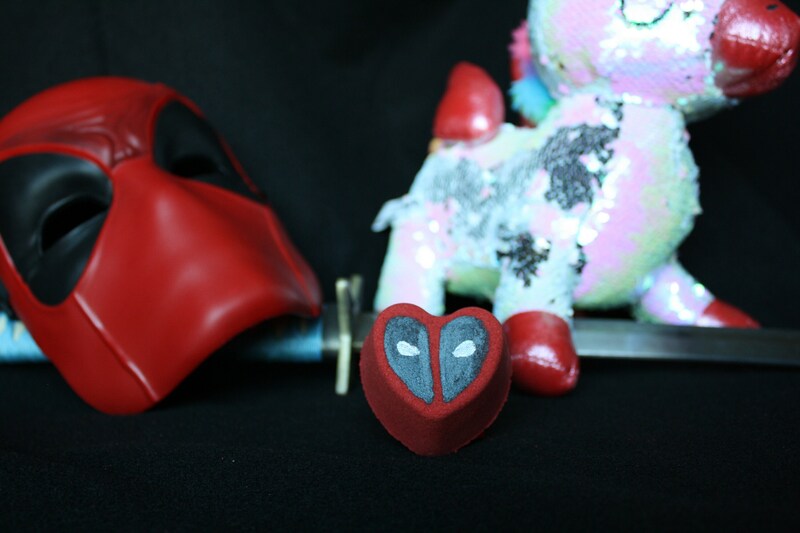 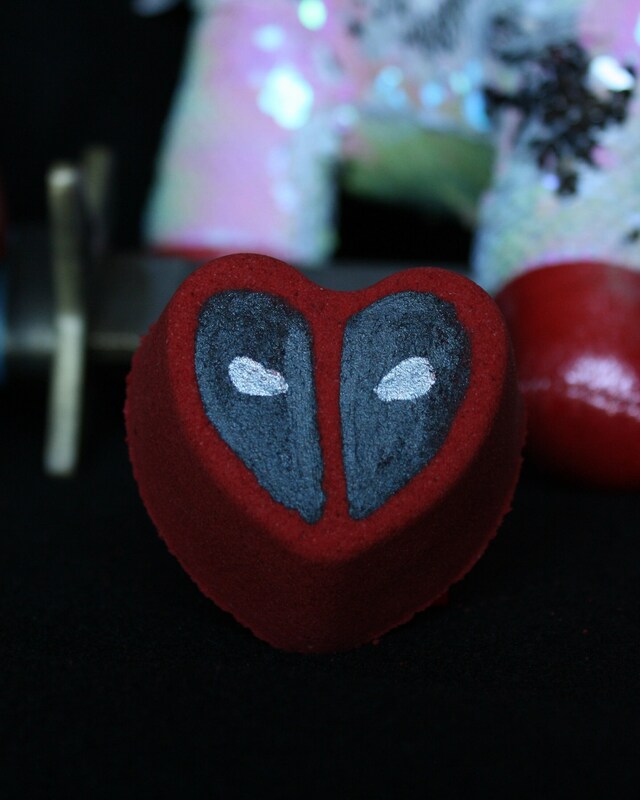 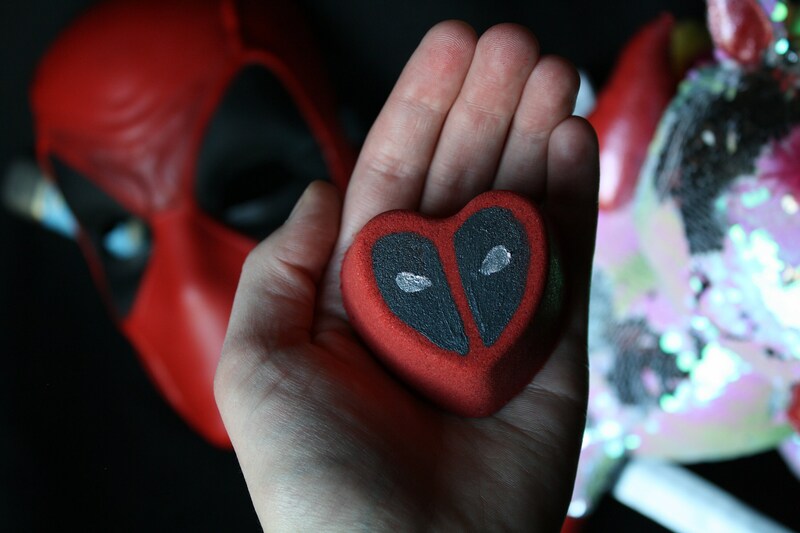 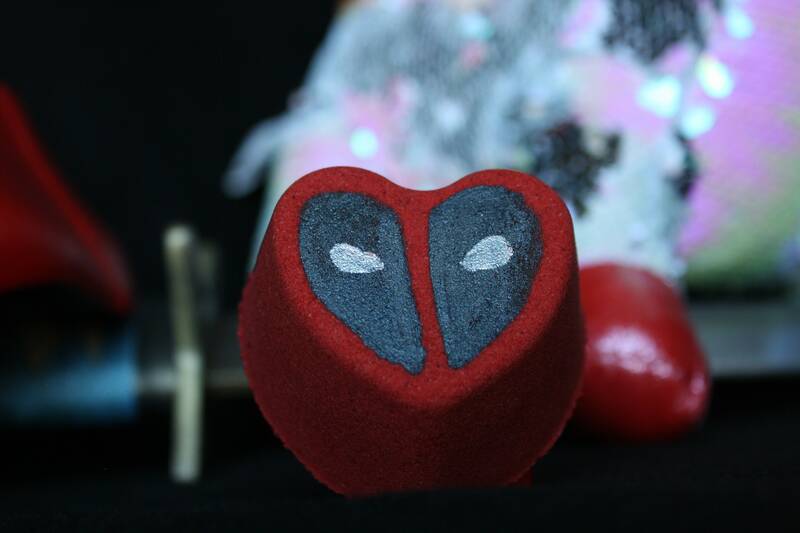 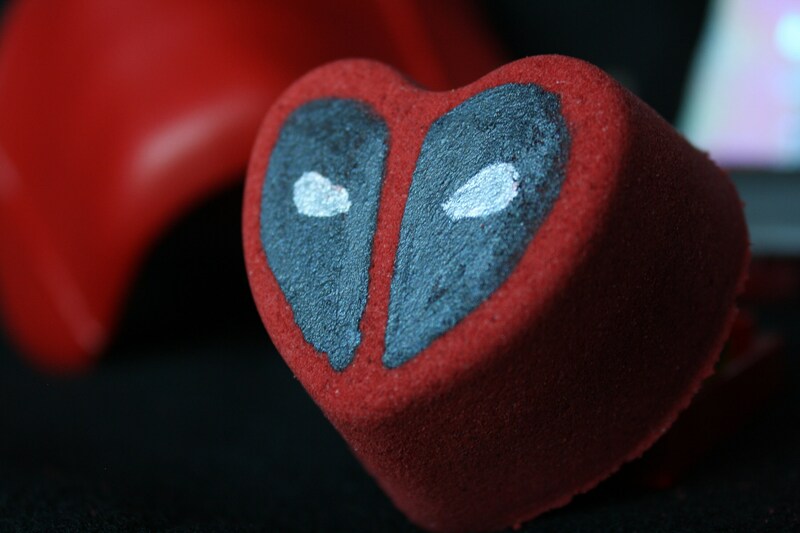 This Deadpool inspired bath bomb is the perfect way to unwind after being giving a mysterious serum that mutates you into a super human and gives you a really bad case of the uglies. 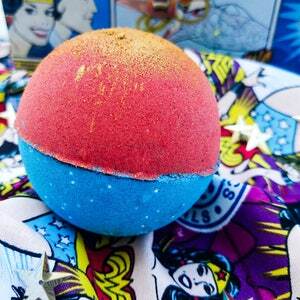 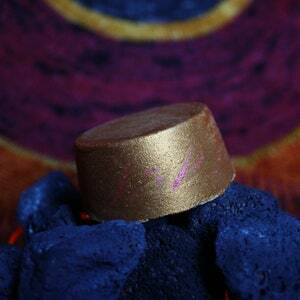 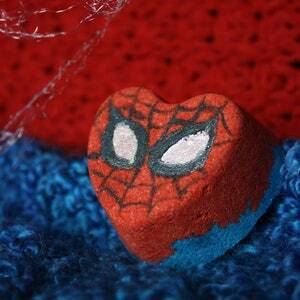 This listing is for a single bath bomb that is approximately 2.5" in width.